If you are interested in the ways in which ICT is used in schools then look at ICT in school, which was written for teachers, and/or read Section 8 of the Meta-analysis report. The data indicate that a large proportion of children in primary school have access to the internet outside school, and that their use of the internet increases with age. Many of the children in the study schools were already using social media tools, including uploading videos to YouTube. Whilst blocking their access to the Internet may ‘keep them safe’ in the short term, it would be much more sensible in the long term to educate them from a young age to safely and effectively manage their online presence. 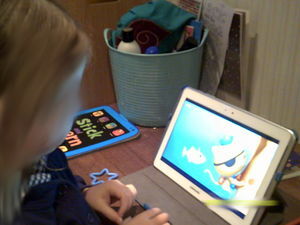 Given the constraints on schools, related for example to e-safety and perceiving that they need to be seen not to condone under-age use of social media tools and games, parents should not assume that their children will be effectively taught how to manage their online presence by schools. Parents should not assume that teachers know about or build upon children’s out of school digital practices. The data indicate a vast array of ways in which children use ICT, and different strategies that parents use to manage that use. All three children whose ICT use was categorised as Core on the Digital Practice Framework came from homes in which their parents supported the child’s ICT use. In two of these cases (Latifah and Ashish) family members were themselves competent users of ICT and engaged in discussion about and/or active participation in the child’s ICT use. 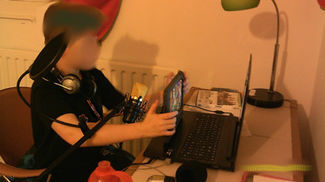 In the third case (Rory), his mother was a less sophisticated user of ICT, but had actively engaged with him about his ICT use from when Rory was quite young. She inducted him into playing Minecraft, with the help of books which they worked through together, and once he had progressed beyond her level of competence she enabled him to connect up with more experienced others. All the time Rory’s mother maintained open communication about his ICT use, built upon trust. The level of support, engagement, and access to expertise that these families provided seemed to be more important than the amount of time the children spent using ICT, though all three children spent at least five hours per week using ICT for non-school purposes. This page was last modified on 28 June 2017, at 16:00.